Talented athletes from Harlingen High School South were recently recognized for their outstanding performances on the field and in the classroom. The Texas High School Coaches Association (THSCA) awarded Hawk athletes positions on the 2016-2017 Academic All-State Team. Juan Castellanos received 2nd Team recognitions in cross country, soccer, and track. For football, Joseph Alonzo and Andrew Hoelsher received 2nd team recognitions. Aransas Haley received 2nd Team recognition for swimming. For soccer, Sean Muniz and Aaron Sanchez received Honorable Mention and Roberto Rodriguez received 2nd Team. Dylan Flores and Alberto Rodriguez received 2nd Team recognitions for basketball. 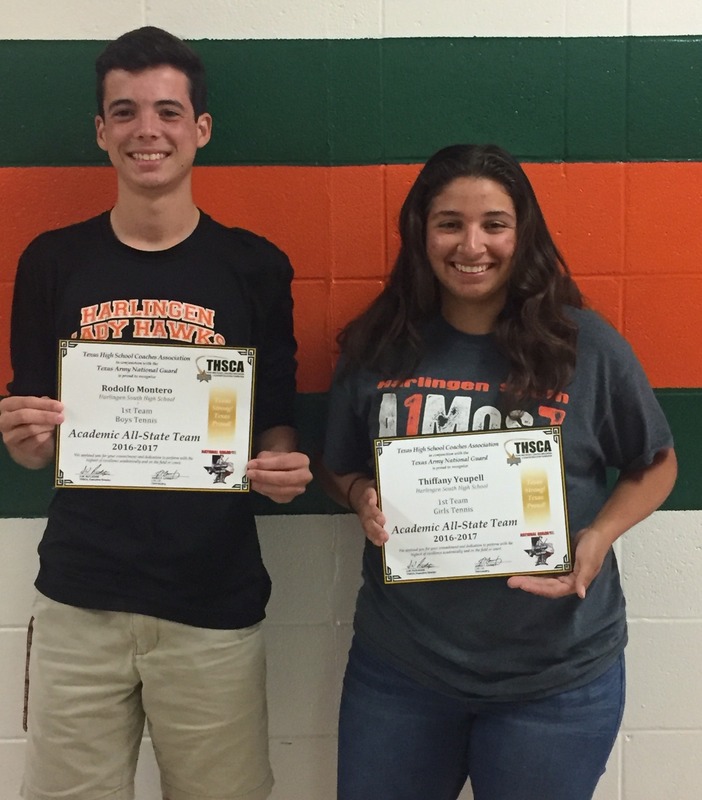 For tennis, Rodolfo Montero and Thiffany Yeupell received 1st Team recognitions. Arturo Del Rio received 2nd Team recognitions in football and track. Candidates are nominated each year. Selections are based on student athleticism, GPA, and leadership qualities.